UK foreign secretary Boris Johnson has given his support to another bridge project, this time spanning 14 miles of the Irish Sea. According to a report in the Telegraph, Johnson is "seriously" considering a bridge to link Scotland and Northern Ireland after Brexit, at an estimated cost of £15 billion. 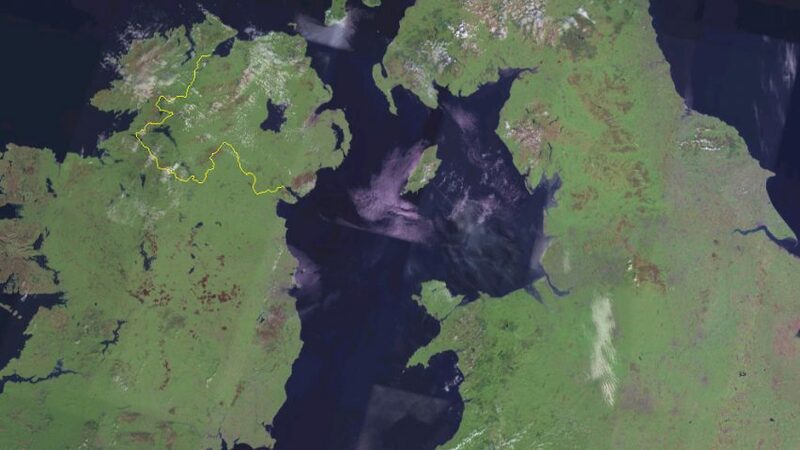 The idea initially garnered media attention earlier this year when it was proposed by Scottish architect Alan Dunlop, as an alternative to another suggestion from Johnson, for a crossing between England and France. "Boris thinks this is an interesting idea which should be looked at more seriously – as politicians in both Scotland and Northern Ireland have already said," said The Telegraph's source. "It's the kind of ambitious project we need to make a success of global Britain." Johnson has also retweeted a link to an article by ex-Telegraph journalist turned PR consultant George Trefgarne, which describes the infrastructure project proposal as "an idea to give the country a happy pill". Trefgarne calculated the cost of the project at £15 billion, which is 10 per cent of the estimated cost of building an English Channel bridge. He suggested the money could be recouped by charging fares to cross at toll booths. Johnson originally proposed the 22-mile English Channel bridge at an Anglo-French summit, held at the start of 2018 to discuss issues around the UK's imminent departure from the European Union. Eurotunnel, the French operator of the Channel Tunnel, was vocal in its support of the plan, which experts costed at £120 billion. But it has also had many critics, including the UK Chamber of Shipping, which said on Twitter that bisecting one of the world's busiest shipping lanes with a concrete structure "might come with some challenges". The Scotland-Northern Ireland bridge was described by architect Alan Dunlop as "much more achievable". Speaking to Dezeen earlier this year, he said the project "would redress the balance of money being spent by Westminster on London". "It is the right time, because we now have the technical capability to do it," he said, suggesting that floating bridges could be used if required to cross Beaufort's Dyke, the deep sea trench off the Scottish coast. Politicians from Northern Ireland's Democratic Unionist Party (DUP) also came out in support of such a bridge, which they claimed could bring an important economic boost to the north of the UK. Johnson was mayor of London before being appointed foreign secretary. He was one of the driving forces behind plans to build the Garden Bridge across the River Thames. Over £46 million was spent on the design by Thomas Heatherwick, before it was scrapped by incumbent mayor Sadiq Khan over ballooning costs.